Oral and maxillofacial surgery requires 4-6 additional years of hospital-based surgical and anesthesia training. As an oral and maxillofacial surgeon, Dr. Patel is highly skilled in the reconstruction and restoration of the face, mouth and teeth. Dr. Patel practices a full scope of oral and maxillofacial surgery with expertise ranging from wisdom tooth removal and dental implant surgery to non-invasive cosmetic treatments of the face and neck. This also includes techniques designed to rebuild bone structure with minimal surgical intervention and optimal patient comfort. We can also diagnose and treat facial pain, facial injuries, and fractures. After obtaining his dental degree from Kings College, London University in 1993, he then fulfilled his lifelong aspiration to move to the United States where he completed his residency in Oral and Maxillofacial Surgery at Northwestern Memorial Hospital. 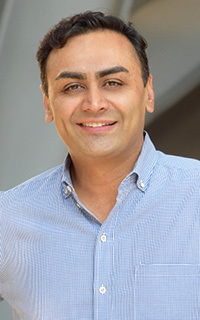 Since 2002, Dr. Patel has been working in Lakeview as an oral and maxillofacial surgeon dedicated to providing high quality care to all patients through the pursuit of excellence in the practice of oral and maxillofacial surgery.